I was unaware that the article comments on the production version of the User Control Panel were not functioning as they should, It was hard to find the issue as I could not replicate it on the development version of the User Control Panel. However, I narrowed it down to a small issue within the code, and I have now fixed the issue, so you may now feel free to comment on articles. 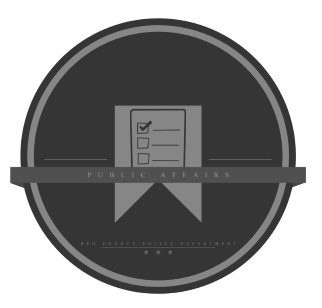 Recently the UCP hasn't been receiving any suggestions from the community, now that might not seem like a major thing to a majority of you. However, there's only so many suggestions us as the development team, tester team and admin team can come up with, and it's starting to get to the point where we are lacking suggestions as a whole. So no matter how small, large, or wacky your suggestions might be post them on the UCP Suggestions board and a member of the development or tester team will take a look at them and unless your suggestion is something silly it'll more than likely be integrated. You could be the one responsible for coming up with a unique idea of which could help the server. Written by Public Affairs, Michael Kanetos. This press release has been published by the San Andreas State Police's Public Affairs Unit on the 4th of July, 2014. Recruitment Time in the San Andreas State Police! It is that time of the year, what time you ask? Recruitment Time! Time to finally see if you have what it takes to become a State Trooper in the San Andreas State Police. Have you ever wanted to join the force, but there was never a recruitment going on at the time? Well now is your chance. The San Andreas State Police Department has recently opened it's recruitment, and we are looking for as many new faces as possible. In the Department, you will learn new skills, such as: Leadership skills, Responsibility, how to work as a team, and much more! So if you think you have what it takes, then apply today. Recruitment will be closing soon, so get your application in! NOTE: Refer below for requirements. To provide an immediate response, or as soon as practicable, to calls for assistance from the public. To deal directly with any incidents or occurrences, either personally encountered or as directed by a supervisory officer or other authorized person. To conduct full and thorough inquiry or investigation into matters or offences coming to his/her attention, seeking advice or assistance of specialists or supervisory officers where required.To serve and execute when required any warrant, or citation. To provide a high quality of service to the community and build strong relationships. To have a commitment to partnership working. To be responsible for the maintenance and safekeeping of law enforcement property, including vehicles,radios and other equipment. To carry out all other duties as instructed by supervisors or as dictated by circumstances. The Ability to Manage yourself, and others in the Field. Recently the recruitment for the San Andreas State Police reopened, allowing anyone to apply. If you feel that you have what it takes, then post an electronic application at http://sasp.redcountyrp.com/index.php. If we feel you are fit for the job, then we will contact you as soon as possible. The police Department is in need of some new faces,and we want as many applications as we can receive, so try your luck and apply today! To celebrate this American tradition, the server owner, TommyB, has launched a 24-hour donation special in which players would be able to receive $100,000 in-game cash for every £1 that's donated to the server. Aside from in-game money, the server owner has also cut the prices for the donator levels into half, saving you 50% from the original prices, and that offer is only available for the fourth of July. Red County Roleplay currently accepts donations through PayPal. If you want to feel that you want to help the server greatly, why not miss this limited time offer? Have a great day! And once again - Happy Fourth of July! We decided to update the server with a hotfix completed by TommyB, BigD, Booth and Alec for all the 2.0a R4 bugs. We're hoping most of the bugs are fixed in this hotfix, but if bugs still remain on the server, please report them. Wednesday 11th of June, 2014 Red County's E: Local Events is glad to announce the first upcoming Triathlon that the county has ever seen. This is a time to show off your hard work and a time to bring the community together as one. Family, friends and guests of the community are welcome to watch or participate in this physically exhausting event. Everyone who wishes to participate will have to train as much as possible prior if they hope to place in a winning position, the competition for these prizes will be high. Although there is always more than just competition. Everyone is welcome participate even just as a casual contestant. 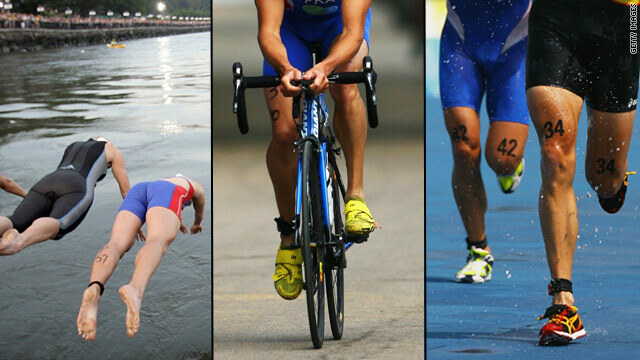 If a Triathlon is on your bucket list, then this is the chance to fulfill your check list. First place winner will get a brand new Turismo, valued at $500,000! Second place winner will receive $50,000 and finally, third place will earn $25,000. The entire Triathlon will be across Palomino Creek, Montgomery, and near Blueberry. With the tremendous help from the San Andreas State Police, we will be able to have a safe and enjoyable environment during the event. If you wish to compete in this first ever Triathlon, in Red County, then sign up today! The entrance fee will be $800 with free coach transportation to the starting position and after the event. The event will take place Saturday, June 26th. Ladies and Gentlemen this is your chance to take part in Red County's very first Triathlon, don't miss out and make sure you're ready for this awesome event! Written by Jessie Wilson, Secretary of the Chief of Police. Published by: Jessie Wilson, Secretary of the Chief of Police. Date: Saturday 7th of June, 2014. Saturday 7th of June, 2014 -- A group of fugitives attempted to murder Chief of Police Daniel Reid as he was on a traffic stop. The patriot he pulled over contiously failed to answer the Chief's questions and out of nowhere, a red and white cruiser pulled up and smashed into the Chief, he was knocked down however luckily he didn't sustain deadly injuries, he is however being kept in hospital overnight. The San Andreas State Police appeal for information and kindly request that if you are pulled over by a cruiser or approached by an officer that you do REQUEST for identification. The driver of the Patriot is said to be a Mr. Mario Romano and the SASP ask that if you do see the patriot, you contact 911 immediately. "It was horrible, the Chief handled the situation brilliantly and I wish there was more I could have done to stop them. I cannot stress enough how much we need your assistance and if you do see any of the vehicles then please call 911 immediately. The Chief got a lucky escape, don't let it be you that is their next target." The public will be updated with information as and when it comes available. We don't need to import farm foods ever again! MONTGOMERY, RED COUNTY -- This day, we have noticed a beautiful flower blooming at the Montgomery Farm. Besides the flower there are several fruits and vegetables we have always loved, such as apples! Of course, we didn't miss the beautiful cows eating the excessive grass around the farm. It's a great sign that the agriculture sector is going back to the top! The plants are locally planted by our own farmers located at Montgomery. We didn't even expect the return of our local farmers, but it's great to have them back! In 1996, Red County Police Department, the county's former law enforcement agency, arrested several farmers and the Montgomery Farms also seized operations because of illegal activity such as planting and distribution of illegal narcotics. The old farmers were also suspected of causing chaos around Red County by shouting and shooting at civilians. After almost nine years, we don't have to rely on agricultural imports, as the farmers of Red County are back to serve some milk!